Dinoflagellate Categorisation by Neutral Network. An European research project. The main objective of this programme is to automate the identification of marine biological specimens from microscopic images, through the development of a neural based image analysis system. European research project regarding the formation and transformation processes of organic carbon in the Adriatic Sea. 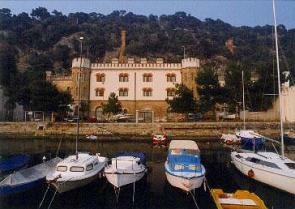 Research project regarding the mucilage phenomenon in the Adriatic and the Tyrrhenian Seas. Monitoring of coastal waters for the Italian Environment Ministry.